If you are looking to venture out and experience the world, you are going to want to bring along a loyal companion that you can trust, like a used Toyota Venza for sale. The Toyota Venza is a marvel of the automotive world as it combines the body and utility of a wagon, crossover, and minivan to create a truly one-of-a-kind vehicle that caters to every lifestyle with balanced perfection. Whether you are all about family, fun, or fascination, the Toyota Venza will elevate your driving experience with absolute reliability and boundless convenience. Just a few highlights of this model are its perfectly sized body for a family of four, plenty of space for any gear you may need for your next adventure, all the features you need to make your driving experience more enjoyable, and smooth handling with a respectable power rating. This affordable all-purpose five-passenger model manufactured by Toyota is currently discontinued, making it an exclusive treasure to be found for sale on a used car lot. From 2009 to 2015 the Toyota Venza was manufactured and distributed to satisfied drivers everywhere. Ask any driver who has had the pleasure of being behind the wheel of one, and they will sing its praise like a songbird on a sunny day. Shopping for a used vehicle may not be what every driver dreams of, but when you can find a true diamond in the rough like the limited edition Toyota Venza for sale, it’s easy to see the appeal. The 2009 Toyota Venza is an impressive start to a powerful and spacious model series that is ready for adventure as well as whatever everyday life can throw at you. Measuring to be 189″ L x 75″ W x 63″ H the 2009 Venza can fit up to five passengers with plenty of cargo space that ranges from 36 cubic feet when seats are up to 70 cubic feet when they are down. When it comes to style, the 2009 Venza manages to seamlessly mix the style of a crossover, SUV, and a minivan, all in one attractively sleek vehicle. As for performance, while it may not be the most thrilling vehicle to drive, it goes above and beyond when it comes to reliability. There are two engine options to choose from including a 4-cylinder and V6 option that can produce 182 hp and 268 hp respectively. Both engine options are paired with a 6-speed automatic transmission. The ride is smooth as silk with an excellent fuel economy rating of 26 mpg highway, which is impressive for its size when it was manufactured. The 2009 Venza is available in both FWD and AWD so that even the worst terrain won’t trip you up. As for towing, the Toyota Venza manages to handle 1,000 pounds of towing potential. You also won’t find a model that makes you feel more safe and secure option while on those roles with its stunning safety ratings. Overall, the 2009 Toyota Venza is a refreshing model that you won’t see every day but can help make your everyday life better. The Toyota Venza is a stunning five-passenger that has the body type of both a crossover and a wagon. When it comes to exterior looks, this model is as sleek as they come, which only makes the massive amount of efficient space inside all the more impressive. Measuring to be 189″ L x 75″ W x 63″ H, a used Toyota Venza for sale will offer up to 70 cubic feet of cargo space with all the seating down. This space is very flexible and can be used for anything your life requires. Whether it’s a family vacation, a DIY project, a shopping spree, or a thrilling camping trip, the Toyota Venza will allow you to come prepared. The cabin itself is also comfortable with plenty of room to relax and enjoy the ride. In looks and utility, the Toyota Venza manages to excel in every way possible, but its performance capability is just as noteworthy. Admittedly it is not the most exciting model to drive around in, but it has mastered the art of reliability. This model was not made for acceleration, but with 182-268 hp depending on which engine it has, you will still find it to be reasonably efficient when it comes to power. The engine options are either a 4-cylinder or a V6 that come in FWD or AWD, and both are paired with a 6-speed automatic transmission. Fuel efficiency is also something the Toyota Venza manages to outshine the competition in with 27 mpg highway. Features drivers can get excited about include a panoramic glass roof, a 6-disc CD player, a 13-speaker sound system, USB ports, hands-free phone connectivity, a voice-activated touch-screen navigation system in front, and rear-seat entertainment system. There is also no limit to the safety features this model offers including stability control, traction control, anti-lock brakes, electronic brake-force distribution, forward-looking airbags, and smart stop technology. 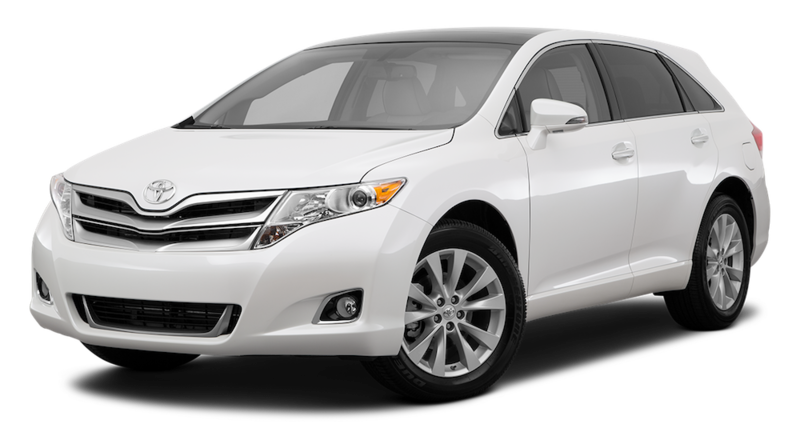 Comparing the 2010, 2011, and 2012 Toyota Venza models to its original model, you will see very little has needed to change considering its solid groundwork. This consistency just proves that the Toyota Venza is a vehicle you can always rely on. So, if you see a used Toyota Venza for sale at your local dealer, you may have just found the best traveling companion of your life. The 2013 Toyota Venza marks the first significant changes in the entire series with its refreshed exterior styling. This facelift of 2013 improved the Toyota Venza by granting it a new front grille, taillights, and wheels that prove that looks are all in the details. Other than looks, drivers can also rejoice at the new list of standard features and the availability of Toyota’s signature Entune infotainment system that can pretty much control everything and is adjusted through a touchscreen display. Highlights of the 2013 Toyota Venza include its affordability, utility, and reliability. While it may not have the most luxurious cabin or fiercest performance output, this is a perfectly balanced vehicle that knows how to fit into any lifestyle by giving just enough of everything you will need for an enjoyable driving experience. Some stats you will want to note if you are considering a used Toyota Venza from 2013 include its 26 mpg highway fuel efficiency rating, its max hp of 268 mpg, and its 70 cubic feet of max cargo space. That being said, these are just numbers, and the best way to truly experience the comfort, convenience, and capabilities of the 2013 Venza is by getting behind the wheel of one. The general idea of the Toyota Venza crossover wagon is to produce a stylish and unique vehicle that is balanced in every category in order to assure that it will fit into your life in a way that is both satisfying and productive. The 2014 and 2015 Toyota Venza seats five passengers, has 70 cubic feet of cargo space, has an EPA rating of 26 mpg highway, 181-268 hp, and never fails to deliver top-tier reliability with its balance and versatility. While it may not be the most luxurious model, you can rest easy knowing that the Toyota Venza is affordable, safe, and straightforward by design. Overall, it offers a sense of pure craftsmanship that can’t be found in most modern vehicles. Since the 2013 Toyota Venza just experienced a major facelift, there was not much improvement needed for the 2014 and 2015 model years. That being said, the 2015 Toyota Venza does fans a service by making the infotainment system and rearview camera standard in every model. 2015 was the last year the Toyota Venza was manufactured, making this a model of the past, so don’t miss out on this one-of-a-kind model while you can still find them for sale at your local used car dealership. At McCluskey Auto, versatility in both our vehicles and our service is the key to our success as a dealership. If you have an automotive desire, we will make sure to fulfill it by any means necessary. We are home to quality vehicles of every style, size, and price, in order to guarantee that you will no doubt find your perfect vehicle on our lot, but having the vehicle, is only half the appeal. Our service is completely customized to you and what you need out of this experience. We always listen and never generalize when it comes to our drivers. So, come shy or bold, poor or rich, new or old, we will handle your automotive service with respect, honesty, and the utmost care.